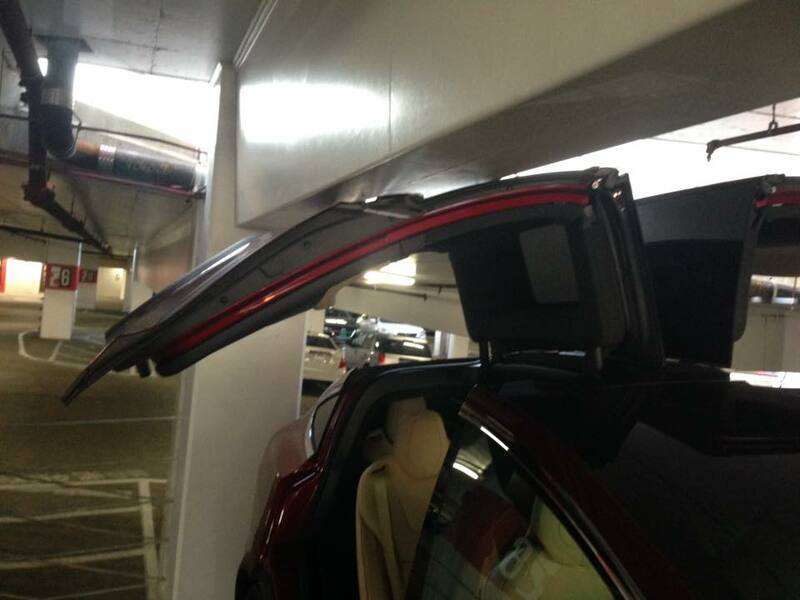 Back in April, several Model X owners reported a bug involving the Falcon Wings doors' sensors in which they cannot detect certain obstacles when opening up to prevent impact -- such as low beams from ceilings. Many pointed to the center proximity sensor failing to detect obstacles directly above the glass roof. 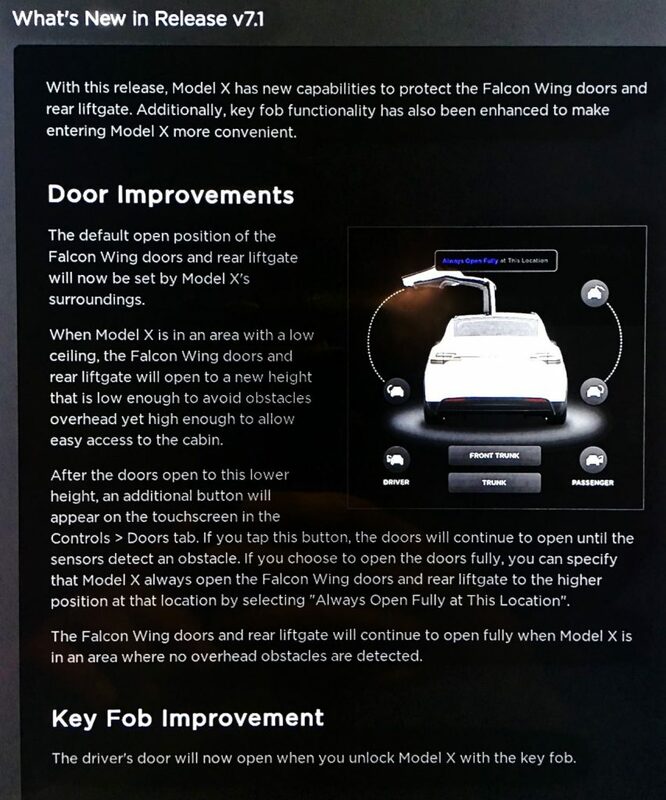 Tesla has since then pushed an over-the-air update with option to open the doors halfway in "umbrella" mode, and another update allowing drivers to better control remotely their vehicle's Falcon Wing doors with a single press of a key fob. However, those did not address how the sensors react when unusual obstacles are present. 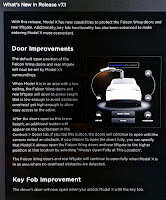 As of this week, Model X owners are reporting receiving the latest software update v7.1 (2.24.78) that presumably improves the way sensors of the doors and the liftgate detect obstacles, and enables the driver's door to open when unlocking the vehicle with the key fob. During the shareholder's meeting earlier this month, Elon Musk faulted himself for putting too much technology all at once into the Model X while promising improvements of the unique doors specifically. In retrospect, the right thing to do with the Model X would have been to take a lot of the really awesome cool things and table them for future versions... This was a case of overconfidence... but I think we're almost there in making the doors useful. I think with the software release that’s going out shortly and then the other one that’s going out in a month or so... we’ll finally be at a point where the doors will be better than normal doors as opposed to worse. With this latest update, the SUV's software will set the default open position of the Falcon Wing doors and the rear liftgate based on its surroundings. The doors now open high enough to allow easy access, but low enough to avoid any obstacles overhead in specific areas. In addition it is now possible save door height presets based on location by selecting "Always open fully at this Location".